A mock interview is a simulation of a job interview, and can be an extremely useful tool in job searching and preparation. Mock interviews help you practice delivering your prepared answers to some expected questions, so you have some experience saying your answers out loud and have a chance to work out some kinks. It also gives you a little bit of comfort and confidence with the interview format. First step is to see if your college career center has a program in place—whether for in person, online, or video chat mock interviews. If not, there are a number of online programs that perform this service—and might be worth trying. The more professional and realistic the mock interview (i.e. the less personal or casual ) the better. Extra points if your mock interviewer can give you a really clear-eyed critique. If you can’t find a professional, you can always ask a trusted friend, colleague, or family member. Make it clear that you’d like them to be as cold and harsh as possible to simulate the real thing. The more you practice now, the more confident and at ease you’ll be during the real thing. 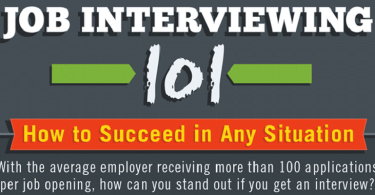 Prepare just as you would for a normal interview. Bring your materials (even if you’re just Skyping someone; it’s good practice to go through the routine). Dress smartly. Be in place and ready 10 minutes early. Be positive. Smile when you speak. Address your interviewer by name and make eye contact. Bring a notebook to take notes, where appropriate. Now the questions. Here are a few of the most popular questions that might be asked in a mock interview situation. Usually these are the sorts of questions that get asked in first-round or screening interviews by companies or HR departments. Start preparing your answers to these, and other questions, and then start practicing! Here you should make a point of emphasizing the skills and experience you have that are most relevant to the job you’re applying for. Show them how you fill a gap, or solve a problem that is important to them. What can you give them that the other interviewees cannot? Pivot as much as possible to focus on your strengths, but do take the time to come up with a thoughtful answer to this. Interviewers can see through b.s. Why do you want to work at this company? How does it fit with your strengths and what you’re passionate about? Careful not to make it clear you want to use this job as a stepping stone, but also don’t neglect to show your ambition in the field. It’s a bit of a balancing act, so good thing you’re getting a chance to practice. Questions about what you liked or were satisfied by and questions about what you hated/why you left are to be expected. The trick is to give your interviewer a sense of what motivates you. Remember to treat your mock or practice interview like the real thing. The realer it is, the better prepared you’ll be once you’re in the actual interview room, ready to win the job.